Quite a few angles you can look at for this game Juventus can be backed to win at 8/11 and I wouldn't be surprised to see goals but given an Ajax goal completely changes the complexion of this tie, I don't think there will be much love lost and with five bookings in the first leg, we should see another high card count tonight, aided by the card happy French whistler. Another Champions League game and another Champion's League goal for Juventus star man Cristiano Ronaldo in the first leg – his 125th UCL goal which is quite frankly ridiculous. The bookies certainly think there will be cards and have priced up over 5.5 cards at just even money. You could play it safer on the Asian Handicap at over 5 cards at 4/5 (stake returned if there are 5) but I'm going to double up with goals. 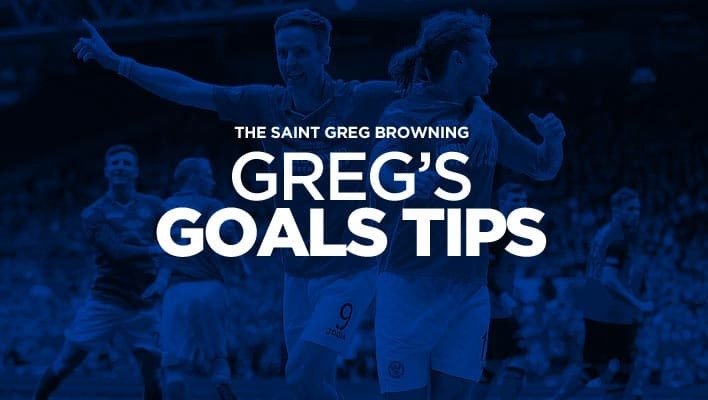 Greg whats your take on morton vs Inverness home win/away win/ or BTTO? Greg… I’m assuming that’s a double mate?